The Roberto Coin Nabucco collection dazzles with this amazing ring. 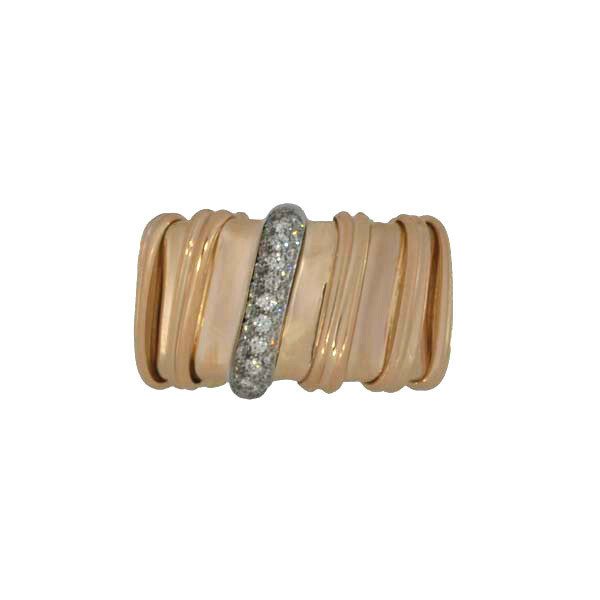 The shiny polished surface of the wide band, crafted in 18kt rose gold, is wrapped with a thin thread of precious metal for a textured, monotone look. A strip of brilliant white diamonds rests on a section of the piece, which has a pliant inner core. 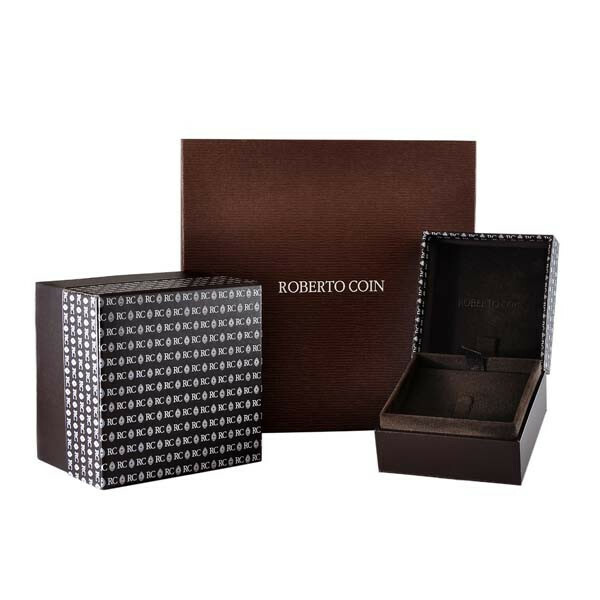 This Roberto Coin ring is the perfect accent for any style!